Organic search performance and web design are intrinsically linked. In other words, web design has a direct impact on a website’s ability to rank higher for specific search terms. This is one area that most businesses fail to take advantage of. Often, the marketing and design teams work in isolation. In some cases, the marketing team is brought on board when the website is already running. When SEO is overlooked during the design stage, it can cause ranking challenges down the line. From an SEO point of view, a well-designed site should take into consideration the following strategies. The goal of any search engine is to make it easier for users to find what they are looking for. This means that search engines reward websites that offer the best user experience. They are avoiding a situation where a user visits a site only to find it frustrating to use. Good design is not be limited to desktop usability. Mobile friendliness is equally essential in improving the user experience. Website responsiveness is an absolute must for your site to rank well in organic search. Good user experience translates to longer time spent on the site, a significant amount of social shares, and a high number of quality inbound links. These factors are what search engines see as an indication of good usability. Consequently, they reward you with a better rank. Basically, a well-designed website will engage visitors once on the site. A/B testing is, therefore, crucial various to assess user experience. Presentation of content is also essential. There is always a temptation to add more content, but doing this just adds clutter to the design. Of more importance is the relevance of your content to the intended audience. Despite the advancement in crawling technology, search engines are still limited in the way they interpret content. The way you look at your website may not be the same as how search engines see it. To rank well on organic search, you should ensure the most important content is in HTML text format. Non-text content such as Flash files, images, and applets are ignored by the crawlers. This doesn’t mean that you can’t design a video or image-rich site that rank well in search engines. Provide alt text for images and videos. These are the HTML text that gives search engines a description of multimedia content. Supplement Java applets and Flash with text. Provide a transcription for audio and video content if the information is meant to be used in ranking. Provide navigation and crawlable links to supplement search boxes on the site. Please note that search engines do not use search boxes on the site to find content. Search engines crawlers need to see the links on your site to find the information and rank pages. Having a crawlable link structure will, therefore, help Google crawlers to find all relevant pages on your site. Hindering their ability to browse the pathways of your site will make it hard for Google to list your web pages in their indexes. All your other efforts like good keyword targeting, using quality content and smart promotion will not get you results if the crawlers fail to find different pages on your site. Here are some of the reasons why crawlers may not find your pages. If your users need to login or complete an online form to access the content, then search engines may not see the protected pages. The robot.txt file and the Meta Robots tag allow site owners to block crawlers from accessing specific pages. While these directives may give you control over who accesses your site, you may unintentionally block search engines from crawling on particular pages. Generally, search engines crawl links embedded in both iframes and frames. However, it’s best to avoid these two if you do not have good technical knowledge on how to optimize them for the search engine. Use the keyword phrase once near the top of the page. Use keyword phrase at least two times in the body copy. You should also consider a variation of the keyword phrase. Use the keyword phrase at least once in the alt attribute of one of the images on the page. This will help to boost ranking through image search. Use keyword phrase at least once or two times in the Meta description tag. The search engines do not rank pages using Meta descriptions, but using the keyword in the descriptions will help to attract the attention of searchers. Use the keyword phrase once in the URL. However, you should not go overboard by stuffing multiple keywords in the same URL. 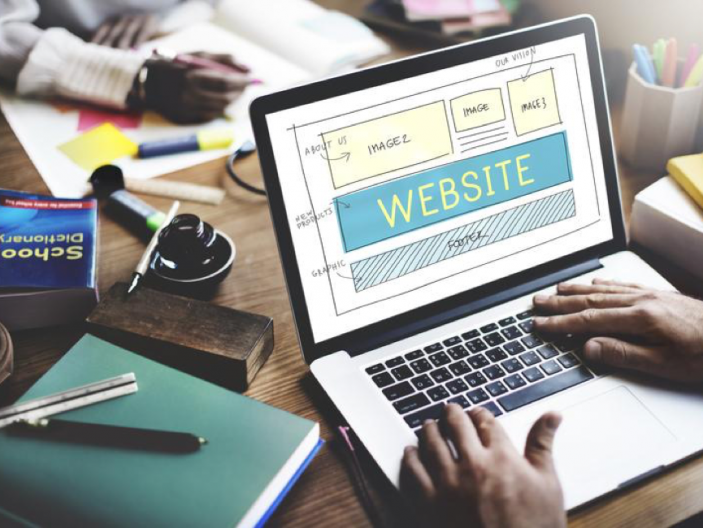 Every successful business website takes into consideration the company’s mission and relevant business-critical keywords and usually done strategically. If you were to conduct a strategic analysis of most websites that fail to rank well on search engines, you will discover that SEO is only considered after the design is complete. Additionally, another way of structuring your organic search strategy is to look at what your competition is doing and try to imitate it. This technique can inform both your onsite and offsite SEO strategy. How do you intend to communicate your mission through your website? Do you understand your customers and your digital competitors? What are your business goals and how do you intend to achieve them? How scalable is your current set up? How will you engage the audience, or how will you create a compelling user experience? Apart from the above, you should also decide on the page speed, language, and locations, content hierarchy. Designing a search engine friendly website is the first step towards ranking well on the search engines. Unfortunately, most business owners or webmasters are not aware of the real impact of design on SEO. They tend to focus more on creating high-quality content and other SEO strategies, but fail to address the design and strategic aspects of SEO.